We are pleased to announce support for mobile application management (MAM) and conditional access capabilities for Skype for Business mobile apps for online customers. These capabilities are delivered through integration with Intune, Microsoft’s cloud-based mobile device and application management solution. 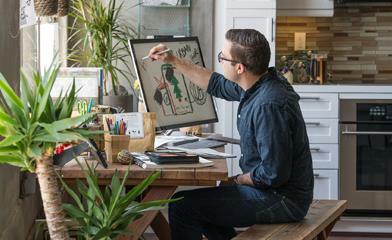 An integral aspect of enabling true productivity is ensuring that employees can communicate and collaborate from wherever they are, on their favorite devices. At the same time, keeping sensitive corporate information secure is critical. With Skype for Business, we are committed to enabling productivity on the go for end users, as well as providing IT the tools to protect and manage the applications and associated data. Here’s a look at some of the core Intune MAM and conditional access capabilities that can help you enable managed productivity with Skype for Business. With an increasing amount of communication taking place over messages and chats, it is important that IT is able to secure the corporate data being shared. Intune’s mobile device and application management capabilities enable an end-to-end solution for protecting and managing corporate assets. Now this extends to Skype for Business apps on iOS and Android, so that IT can set policies to proactively control how the app is getting used. For example, you can keep employees productive by allowing copying information between managed apps, such as Outlook and Skype for Business, but not to unmanaged ones. If the mobile device is lost or an employee leaves the company, you can also selectively wipe corporate data while keeping personal apps and files intact. Another policy you can set is to require a PIN to access the apps. We’ve made sure that these IT policies protect your organization’s data without impeding the user experience. 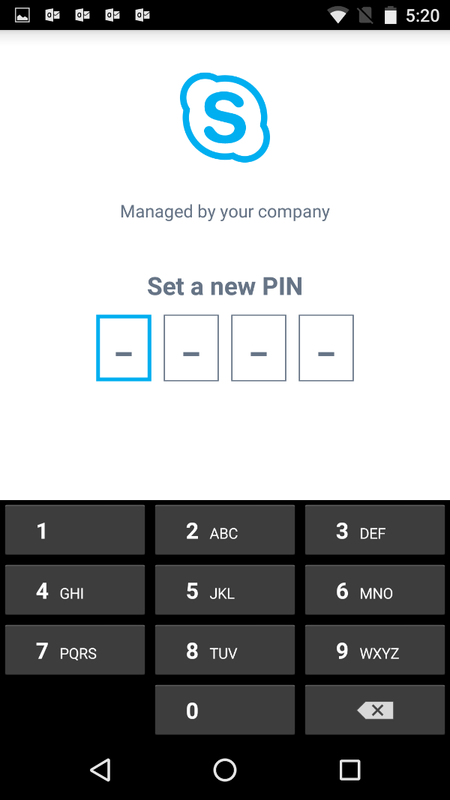 As an example, the same PIN can be used for all the managed apps, and incoming calls can be answered quickly without entering the PIN. Learn more about additional Intune MAM policies and how to configure and associate them to an app. These application management capabilities with Intune are available with or without Intune’s device management features. MAM without device enrollment can be particularly valuable if you are using other MDM solutions to manage the devices within your organization, or in scenarios where IT is not able to enroll the devices. We are also announcing support for conditional access policies with Intune for the Skype for Business iOS and Android apps. Conditional access allows IT to restrict access to the apps from only compliant iOS and Android devices. For example, with conditional access policies, you can restrict access to the app from jail-broken devices or require a minimum OS version. Note: MAM without device enrollment and conditional access functionality require modern authentication to be enabled for Skype for Business Online, and it is currently disabled by default. Follow these instructions to enable it. An upcoming update will let you manage it directly from the Office 365 admin console. Learn more about Intune’s MAM and conditional access capabilities. If you are not already using Intune, try it for free with our Enterprise Mobility Suite.